The Quantum is a multi-layered Swiss chronograph with strong sporty characteristics. The watch case is made of surgical grade 316L Stainless Steel with black PVD plated bezel and pushers, and a variety of different finishes to add to the sophisticated design. 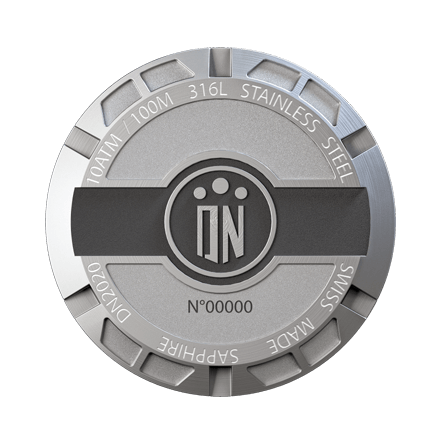 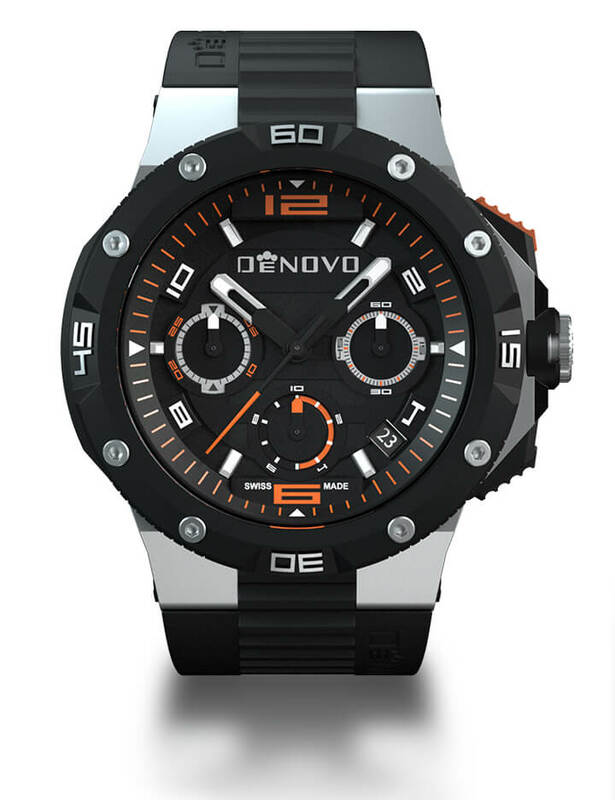 Chronograph top and bottom pushers with silicon inlays for extra grip, and a unique warning ring around the crown. 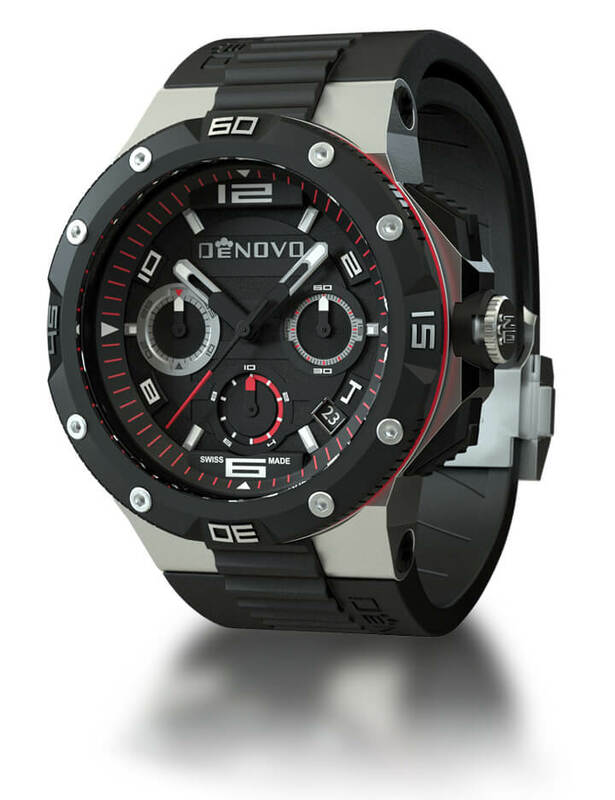 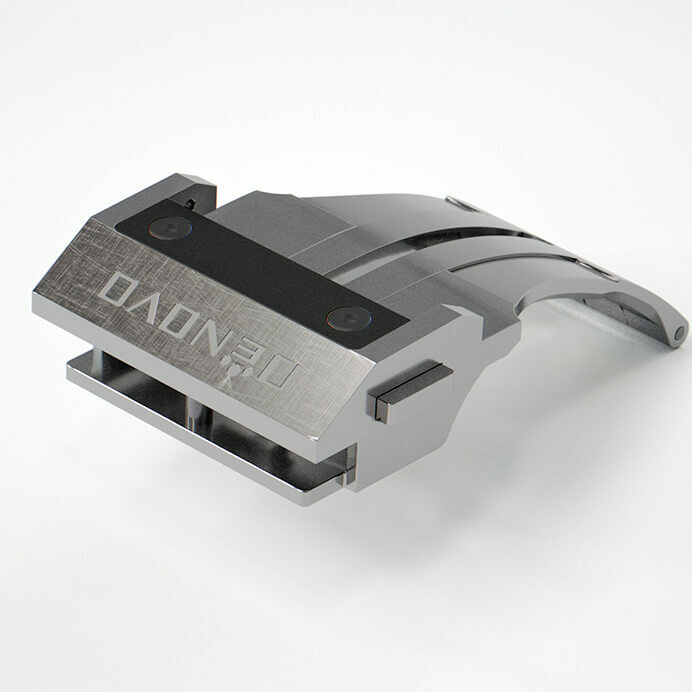 46mm case with DeNovo engraved rubber strap, finished with a two-tone fast-on buckle.